This year’s STARBURST was a refreshing and re-energizing time to learn more about Children’s Work. 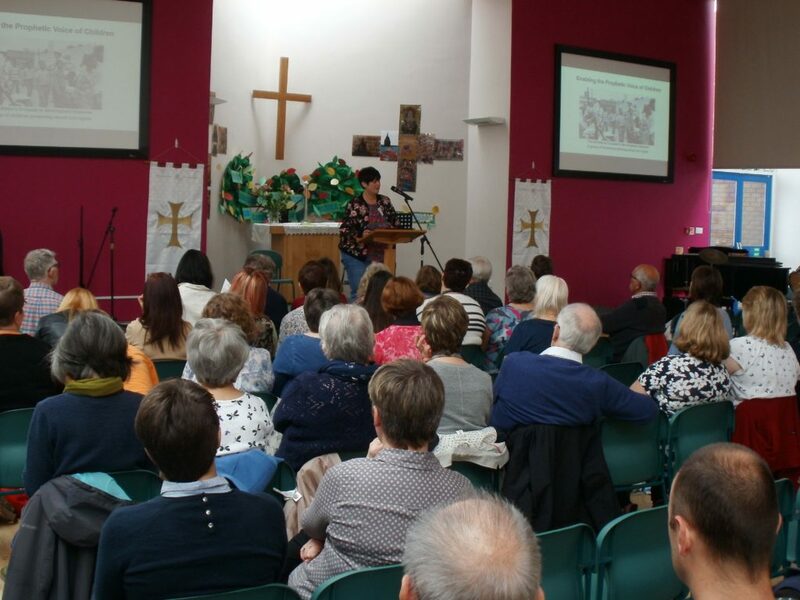 About 85 people gathered at All Saints Primary school on 13 May to join in the worship, hear the keynote speaker, and take part in the workshops organized by Rona Orme, Children’s Missioner for Peterborough Diocese. Penny said that we in the church often thought of children as future disciples, that their spiritual formation was not happening yet. That we didn’t see them as someone who was currently learning from God. Penny said that to understand their place, we needed to understand how to to enable the prophetic voice of children. Penny said that children were not there to just take things in from us as those who ‘know better’, but as co-travellers on the journey of faith. “We need to enable space in our ministries for the children – to eat together, to share, for them to speak and ask questions.” Most of all children need to be involved in the decisions that are being made. Penny said, “We need to provide a place for children to play an active part in their faith. They need an opportunity for leadership roles, to be part of decision making. Children need to feel like they are in the conversation”. She said that we should be creating opportunities for them to do this – and not to be afraid of it. 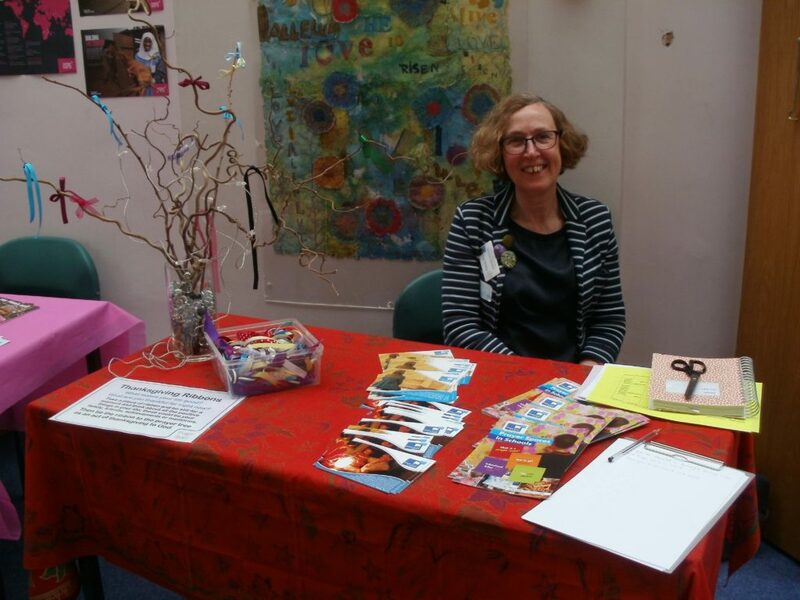 After the workshops there was a chance to browse the market place that was set up in the hall. There were resources a plenty, and a chance during lunch to share ideas and stories as well as collaborate on future activities. People came from all over the diocese and had varying levels of expertise that they shared at this time. Not only did everyone get a physical goody bag – complete with book and chocolate, they came away with a virtual goody bag of new ideas. Time then to announce the winner of the Children’s Work Cup. The nominations were St Andrew’s Wellingborough, St Columba, Corby and St Mary the Virgin Weldon. More about the nominations here. 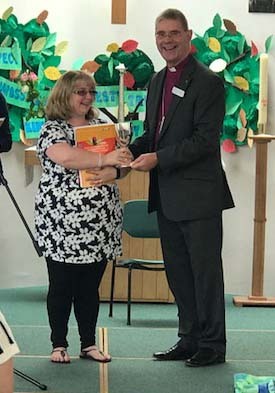 The Winner was St Andrew’s Wellingborough for their rapid progress that this parish has made to welcome children in their community. After the presentation of the Children’s Work Cup, more workshops were available: Urban Children, Boys into Men, The Reluctant Leader, Tweens and Transitions and opportunity to get your hands dirty crafting, and finally a place for prayer. STARBURST had its own chaplain, Revd Beverley Hollins, and the resident juggler, Steve. All in all a very entertaining, informative and positive day.